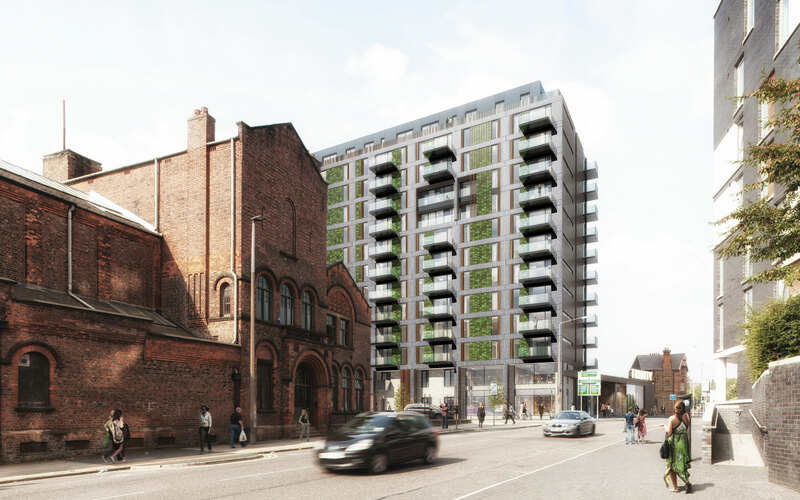 We have completed the initial masterplan for Salford Crescent – a joint project between Salford City Council and the University of Salford to create a new city district. The plan sets out a vision for the next two decades enhancing connections with surrounding neighbourhoods and communities and tapping in to the area’s unique potential to deliver an unrivalled place to learn, live, work and visit. It is a vast area with a lot of existing assets, from major transport connections to heritage buildings to green space. Our brief was to unlock this potential to create one city district linking education with local industry, arts, culture, heritage and residential. The masterplan covers 240 acres and offers one of the largest investment and development opportunities in the region. 1.1 million sq ft of new educational floorspace within a 21stcentury campus with new leisure facilities. Nearly 2 million sq ftof public realm, green landscaped routes, 5 miles of running tracks, 1.5miles of cycleways and 1,000 trees. Alongside the city council and the university, we are looking forward to giving more details about the masterplan and the next steps at a panel session at MIPIM 2018.